Home / Entertainment / Strike Back season 7 cast: Who is in the cast of Strike Back: Revolution? Strike Back season 7 cast: Who is in the cast of Strike Back: Revolution? Strike Back season seven will see a number of series regulars joined by some new faces amongst its cast in 2019 as the show returns to HBO sister channel Cinemax in the USA . 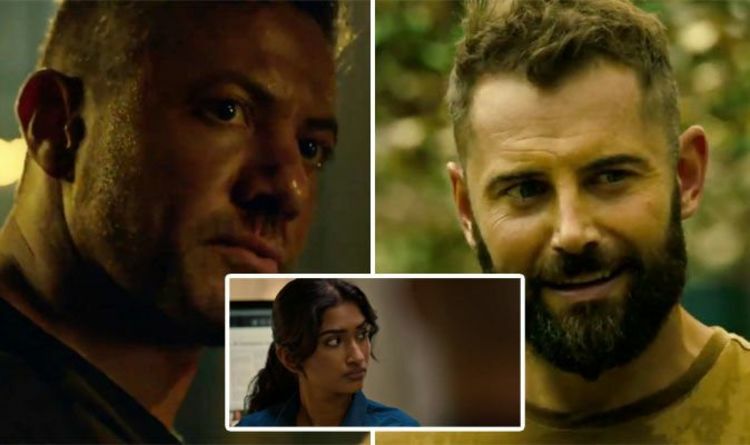 Strike Back fan favourites Mac (played by Warren Brown) and Sergeant Sam Wyatt (Daniel MacPherson) are joined by newcomers Manisha (Varada Sethu) and Amy Leong (Ann Truong) in the new series, just to name a few. Mac actor Brown is no stranger to fans of British TV drama having starred in BBC series Luther, Channel 4 zombie-thriller Dead Set, and CBC’s X Company. The 38-year-old first burst into the limelight for his role of Joel Samuels on Neighbours in the late Nineties – he’s gone on to star in Fox series APB and even appeared in ITV serial police drama The Bill. The Col. Coltrane actor has enjoyed roles in ITV’s Law and Order: UK alongside Bradley Walsh , as well as starring in CBS crime series NCIS. Unmistakable as King Aethelred to The Last Kingdom fans, Newman’s career has also seen him land roles on BBC’s Waterloo Road and Starz original series Outlander.